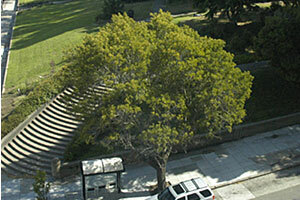 Located at the apex of Pacific Heights, the 2000 WASHINGTON STREET cooperative apartment enjoys world-renowned views of the San Francisco Bay, the Golden Gate Bridge, Alcatraz Island & Marin headlands along with the verdant greenery of beautiful Lafayette Park. The ever-changing colors of sea, sky & cityscape provide a dramatic and inspiring vista from dawn to dusk. This full floor apartment was designed by the city’s most recognized professionals such as Andrew Skurman, AIA, Suzanne Tucker of Tucker & Marks, ASID, and Forde Mazzola Construction. Each is well known for the finest work in their fields. The apartment reflects an old European ambiance, uniting architecture and interior design in an aesthetic style of serene luxury and today’s highest standard of modern conveniences and comfort. The graceful VESTIBULE provides a warm welcome and opens to the stately LIBRARY HALL, a stunning introduction of proportion, symmetry and harmony found throughout the apartment. 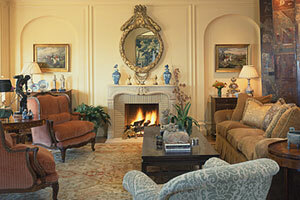 Its focal point is the deep merlot marble fireplace surrounded by rich wall paneling. Wall to wall custom bookshelves lend to the unique ambiance. The floor is laid in Versailles parquetry as is most of the apartment. The impressive GALLERY anticipates the panoramic view of the Bay. The space houses side tables against the carefully restored antique Chinese hand painted silk wall covering and an alcove for objects d’arts. The designer POWDER ROOM adjoins. 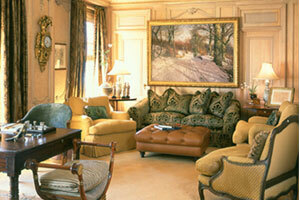 The comfortable and spacious FAMILY MEDIA ROOM/STUDY is located off the Gallery. 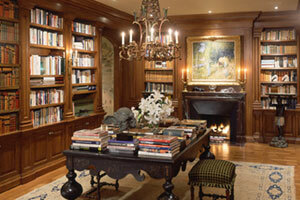 The antique marble fireplace, oak paneling & bookcases provide an intimate setting. Built-in cabinets house the sophisticated entertainment system. 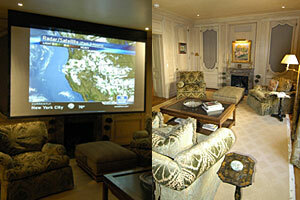 A concealed full wall sized wide screen drops from the ceiling for impressive projection viewing including surround sound. With the distinctly European atmosphere of this inviting room, the marvel of the hidden technology is a fresh approach to enjoy today’s media at its very best without intruding upon the elegant, warm atmosphere. The beautifully proportioned LIVING ROOM includes a charming sitting alcove with lush oversized built-in seating customized for the most comfort and visual impact of the panoramic world class water and Golden Gate Bridge views. The handsome antique fireplace with matching niches and ornate ceiling molding add to the symmetry of the grand and elegant formal living room. Double arched glass doors open to a BALCONY off the living room providing a gracious outdoor setting to enjoy the view that is ever present from the stunning entertaining north end of the home. The formal DINING ROOM with custom storage behind handsome molding also features an alcove perfect for informal dining surrounded by views and natural light. Massive arched pocket doors close off the adjoining kitchen area when entertaining formally. 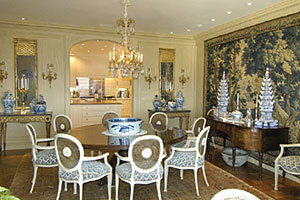 The spacious gourmet KITCHEN is yet another example of the owner’s attention to detail. It is perfectly laid out for the host who enjoys informal cooking and relaxed socializing as well as a smooth flow for caterers when formality is a priority. The kitchen features custom glass front cabinets, marble countertops with 16th Century ceramic backsplash and top of the line appliances. 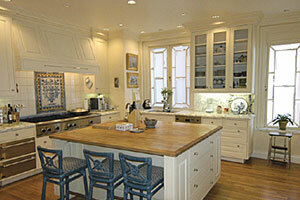 The oversized butcher-block island has ample built-in custom storage and under counter refrigeration drawers. The many practical details and essential ample storage will surprise and delight the gourmet cook. The adjoining WET BAR area features glass front cabinets, wine cooler, ice maker and additional refrigerator drawers; it is well located off the Gallery to serve the public rooms. The SERVICE ELEVATOR connects the apartment directly from the garage allowing easy access for service, catering and deliveries into the kitchen area. The private and south facing MASTER SUITE enjoys verdant views of Lafayette Park and city skyline. The elegant LADY’S SITTING/DRESSING ROOM features ample linear closets behind three pairs of mirrored French doors, bench seating and additional custom storage. 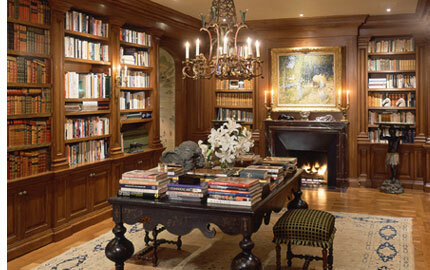 It is large enough to incorporate a convenient and lovely office space with morning light for the lady of the house. Beyond the arched pocket doors is HER BATHROOM featuring a spa tub, large stall shower with etched glass doors, bow front vanity with large mirror & sconce lighting. The “warm” limestone & marble floor is laid in a striking sunburst pattern. HIS BATHROOM overlooks the park. It contains a bow front vanity, separate stall shower & WC, both with thick curved etched glass for luxury & privacy. 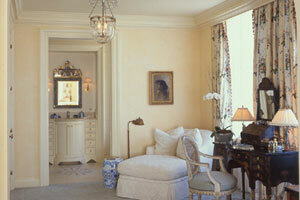 HIS DRESSING ROOM features a tall mirror & fully customized wardrobe storage, accessory drawers and bench seating. Arched double doors, artfully integrated into the custom paneling of the Library Hall open to the SECOND BEDROOM which overlooks the park and city vistas. A large walk-in closet contains a built-in safe. The adjoining BATH with marble surround features a bow front vanity with porcelain shell sink and tub with etched glass door. The elegant THIRD BEDROOM is situated across the Library Hall behind another hidden custom library door, ideal for privately located guests. The adjoining marble BATH has a vanity and shower with etched glass door. PANTRY with second Subzero refrigerator/freezer and LAUNDRY with side-by-side Washer/Dryer & utility sink off the kitchen. 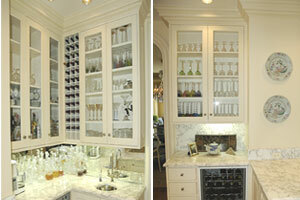 Ample linear closets for linens & household items. The south facing Bedroom Suites including the baths are air conditioned. Complete stereo system designed by Audible Difference throughout the apartment. Programmed state of the art lighting system and smart wiring. Two parking spaces in tandem & one additional outside space; two storage rooms are assigned to this apartment. See the LIST OF INCLUDED/EXCLUDED ITEMS pertaining to the sale of the apartment. Prior to submitting any offer for the Property, prospective Buyers are advised to review the Seller’s Disclosure Package on file with the Listing Agent.